Tonight: Seattle at Oakland, 7:05. OAKLAND, Calif. – Adam Kennedy has been the Oakland Athletics’ most dynamic offensive player since shortly after they plucked him from Tampa Bay’s minor league system 21/2 weeks ago. That’s both a credit to the veteran second baseman and a cutting critique of the A’s otherwise floundering lineup, although his teammates provided a little help to their surprising star in Oakland’s 6-1 victory over the Seattle Mariners on Monday. Kennedy extended his torrid start for Oakland with a career high-tying four hits and two RBIs, while Travis Buck homered and scored three runs to back Brett Anderson’s second major league victory. 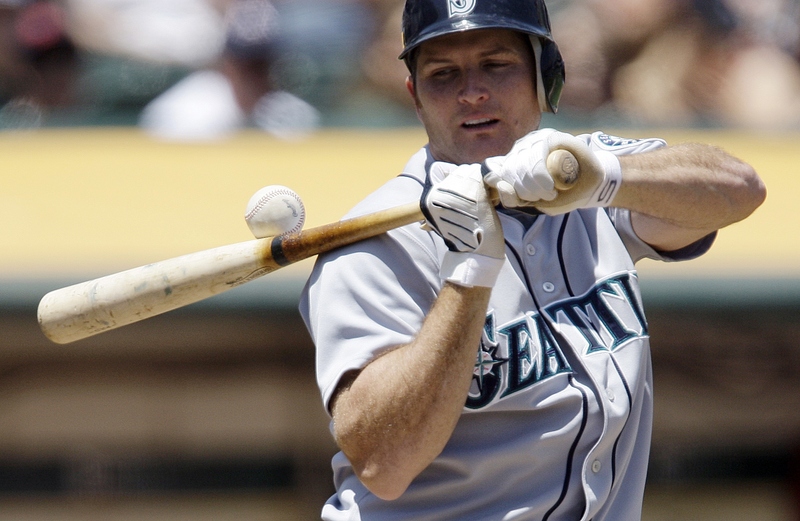 Kennedy also walked and eventually scored on an error in the first when he slid home in a collision with Mariners catcher Kenji Johjima, who broke his toe on the play. The former A.L. Championship Series MVP is 20 for 37 in his last nine games, giving him 26 hits in his 15 games with the A’s. Oakland scored three runs in the second inning on three consecutive hits, including a two-run double down the right-field line by Kennedy, who improved his average to .441 with the 15th four-hit game of his 10-season career. Not bad for a 33-year-old who wasn’t playing particularly well for Tampa Bay’s Triple-A affiliate in Durham, N.C., earlier this month before Oakland acquired him for a player to be named. Anderson pitched six strong innings for the last-place A’s, who beat Seattle for just the second time in seven meetings this season. Anderson (2-4) yielded six hits and two walks, largely staying out of trouble despite retiring the side in order just once. Kevin Cameron pitched three scoreless innings of relief for his first career save for Oakland. Ichiro Suzuki went 4 for 4 with three infield hits to extend his hitting streak to 19 games, and Johjima homered before leaving the opener of the Mariners’ six-game road trip. Johjima hurt his left big toe when Kennedy’s spikes hit him square in the foot on the play at the plate. Although he stayed in the game and even homered in the second, Rob Johnson replaced him in the third – and postgame X-rays revealed a broken bone that probably will keep him out for at least two weeks. Chris Jakubauskas (3-5) didn’t get out of the fourth inning for Seattle, giving up six hits, three walks and five runs in his shortest start of the month. The Mariners’ offense provided little help, leaving eight runners on base the first seven innings. Suzuki beat out infield hits in the first, third and fifth innings, giving him a major league-leading 21 infield hits, including 13 in his last 17 games. He is 32 for 84 during the streak.